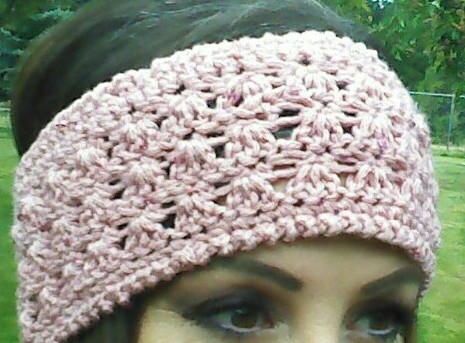 This weeks Amazing Grace Featured Pattern was my second design in the series… The Amazing Grace Headband!! 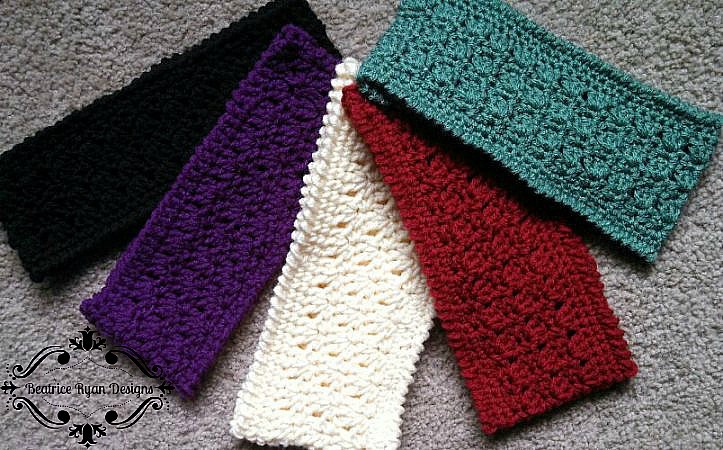 You may wonder,,,, How would a headband be used by a cancer patient… and why would I include this pattern in the series…. I had just finished the original Amazing Grace Hat and noticed that the crown of that hat would be a perfect headband… With a nice easy edging, I could have another pattern and make this a series instead of just one pattern… So the Amazing Grace Pattern Series was now born… This is what gave me the idea to keep all of the Amazing Grace Patterns the same “Stitch Style”… So now each time I design an Amazing Grace Pattern,,, I have to think about how to make it all work using this stitch pattern!! Not all cancer patients lose their hair or they may be in a stage that they still have some… Many also wear wigs, so I thought it would be nice to have something not so heavy and a little more stylish to help them feel pretty and comfortable while they were going through treatment or recovering… You can also make the Amazing Grace Headbands for family members who need something to brighten their day… You can make the Amazing Grace Hat for the patient and a matching Amazing Grace Headband for a family member… Wouldn’t that be a great gift?? I love giving gifts to people who are a little down… When my dearest friend Sandy was in her last days,,, I would head down on the weekend and visit with her… It was a 3 hour drive and it was so hard knowing I would soon be sitting in her room talking about old times, her wishes and close to the end,,, just holding her hand because the cancer had migrated to her brain… I was blessed to know her final wishes and knew her well enough that when she said just the couple of words she could get out… I always knew just what she meant… One of my best memories was spending time with her family too… One day while stopping at the store to get her a little snack,,, I decided to fill up a basket with tons of fun snacks for her boys… When I got to her house I set the basket on the table and the boys dug in,,, candy, drinks, chips and much more… If it only took the sadness away for a moment it was so worth it!! So remember, many are suffering when a loved one has cancer… Giving a little will bless you more than you can imagine! I hope you will consider making a few to donate!! For the guidelines make sure you check the Amazing Grace Crochet Charity Drive at the top of the page!! Happy Crocheting!! And God Bless!! May you also remember all those live lost on this day may years ago and the sacrifices made by the heroes who did what they could to save lives !! America is a strong, great country! God bless you! I lost my mom to stage 4 breast cancer earlier this year…. So I understand exactly what you mean. You have a true servants heart, thank you for all you do.